Make a ducky or a kitty or a piggy. 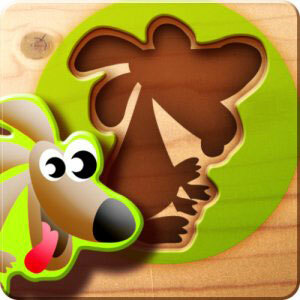 Designed for children ages 2 to 6, this kids' app introduces children to the fun of solving puzzles. With 14 different puzzles, nice sound effects, beautiful graphics, this game will entertain your children while improving their motor skills. Cute, cute, cute!